Hi I'm Ali. 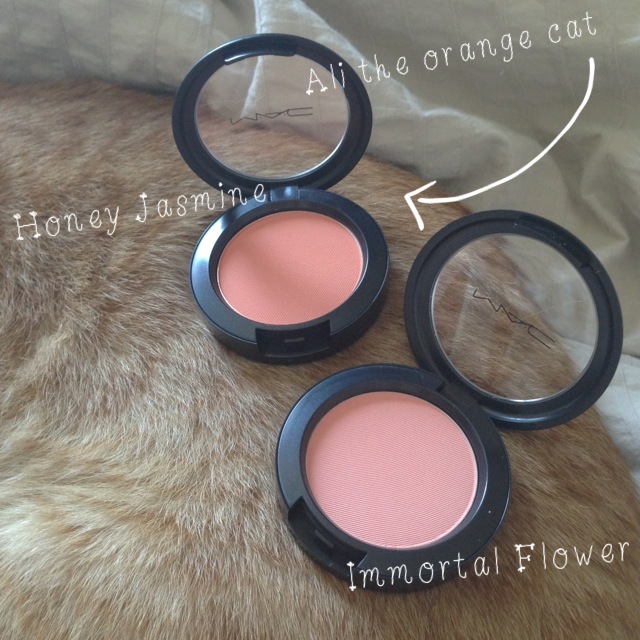 I'm a 3 year old professional model cat which a speciality in beauty blog photo bombing. You've probably heard of me before, I am the Linda Evangelista of cat models and I don't get out of the (humans) bed for less than 10,000 cat treats. I can be somewhat temperamental and have a low concentration span, especially when there are birds on the window ledge and cupboards to break into. My agent put me up for this job as she heard the theme was orange and the pay was cat nip, a laser pen and tickle tummies. I spent time checking out the merchandise as I must be careful who I am associated it. I did a vigorous check of sniffing and rubbing my nose in the product. I heard wearing blusher on the nose is so 2013. I'm a busy cat and I need my sleep so I only gave the photographer 5 minutes of my time. Time is kitty treats people!! So my agent says to tell you these are Limited Edition and from the Mac All About Orange collection so you better act nippy if you want to get your hands on them. She also said she's disappointed that they're in the standard Mac packaging and not in some fancy pants packaging. My agent says she got them from Selfridges as the Mac UK website was sold out. She says the best swatches of the blushes can be found here on Temptalia, unfortunately they haven't shown up well on my complexion. 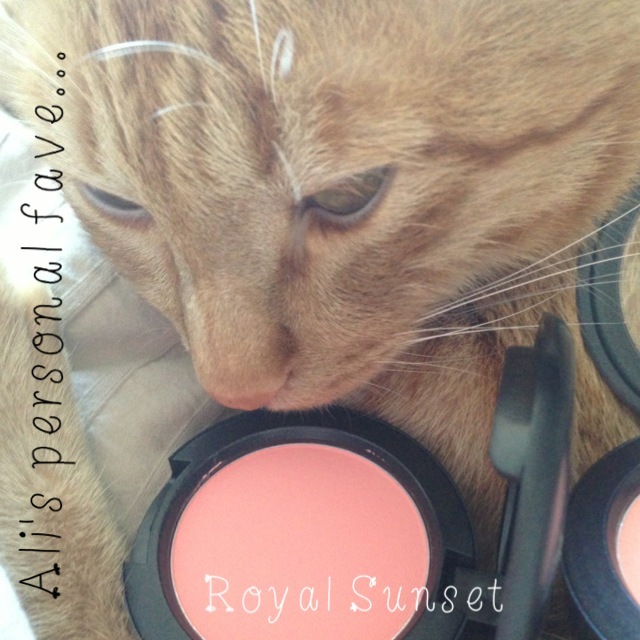 My personal favourite is Royal Sunset and I like to apply it with my agent's Mac 168 blusher brush. No more photos! I'll be speaking to my agent about this! !